There were 2 neighborhood grocery stores near my home in the 1200 block of South Sprigg; Sheepy’s (near Womack Drug Store, a few blocks away) and Hilderman’s on the corner of Ranney & Hackberry. Hilderman’s was only one block from my house. My neighborhood friend, Brenda Stafford, and I often went to Sheepy’s to pick up groceries for the Webers whom I have written posts about here &here. Mr Hilderman’s store was closer to our houses, and we occasionally went to his store. He was an older man who seemed to have a distrust for us kids (probably with good reason). When we went into his store, he would stay right with us and watch every move we made. Perhaps he had been stolen from a few too many times but not by us. In any case, he wasn’t taking any chances so he stuck to us like glue. While we looked at the penny candy, he stood beside us tapping his foot and pulling on his suspenders which were stretched tightly across his rather large belly. He had an annoyed expression on his face like he wished we weren’t there. We seldom had any actual money; we traded soda bottles for candy. Sheepy’s was fine with that but Mr Hilderman was not real keen on taking the soda bottles. He would take them but didn’t seem real pleased with the transaction. So, we didn’t go to his store real often. However, Mr Hilderman did have something that Sheepy’s didn’t have. He had bologna in a case; and he would slice off a chunk and make a sandwich with soft white bread. He would put ketchup or mustard on it if we wanted. He charged 10¢ for a sandwich. So when we were hungry and didn’t have anything at home to eat, we went to see Mr Hilderman (that is, if we could find 10¢ worth of soda bottles to turn in – 5 bottles). I think Mr Hilderman eventually trusted us but it took a while and then eventually, the store closed. I don’t know whatever happened to him. Perhaps he moved in with his kids, if he had any, or maybe he went to a nursing home. 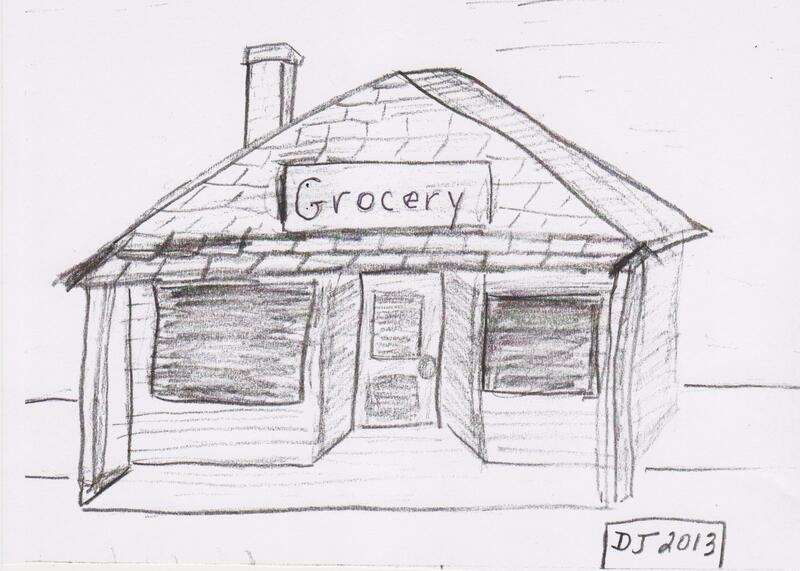 In any case, the store closed and another family bought the place but they did not re-open the grocery store; they used the building as their residence. Some of the Stafford girls are on Facebook and they may remember Mr Hilderman. Perhaps you reading this have some memory of Hilderman’s Store. If so, please share your comments. It’s all rather fuzzy in my memory. It was located across from the beer warehouse at the very end of Ranney St. The street actually stopped there on that corner. We often had go-kart races down the hill there and would often end up in the field since we had no brakes to stop when the road stopped. We just flew across Hackberry and into the empty field. It was a good thing Hackberry only had a car go by once in a great while. This entry was posted in 1960, Cape Girardeau, Missouri, Neighbors, Ranney Street, South Cape, Sprigg Street and tagged bologna sandwich, Cape Girardeau Missouri, grocery store, hackberry, hilderman, penny candy, ranney, Sheepy, soda bottles, stafford, womack drug. Bookmark the permalink.